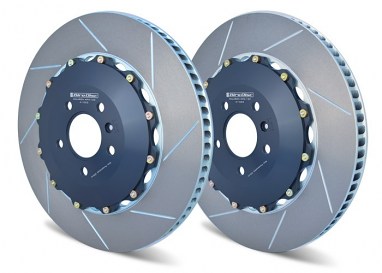 If you’re going to modify your car to go fast, you’d better make sure it also stops short and true, with linear performance free of fade and warping. 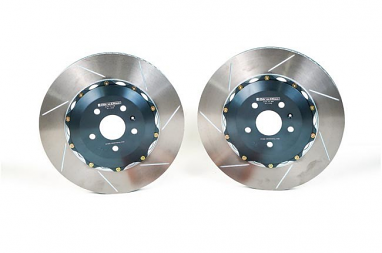 To do that, you need a big brake kit. 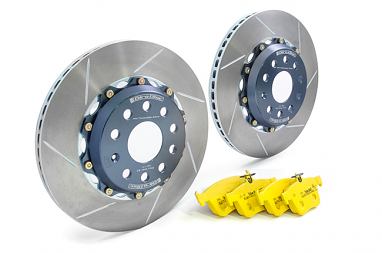 Big brake conversion kits improve stopping power with big brake rotors, big calipers and superior heat dissipation. 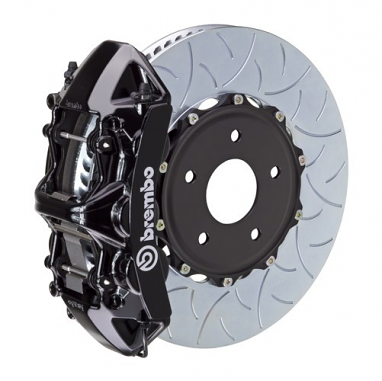 OEM brake calipers and rotors simply are not engineered for the extreme conditions experienced by modified vehicles with additional horsepower. 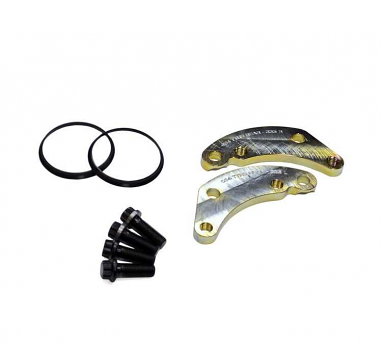 Stock floating brake calipers often actuate with just one piston, and the rotors are typically sized far below those in a big brake upgrade kit. 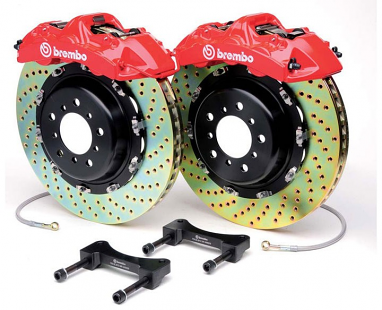 Aftermarket brake kits seriously up the ante. 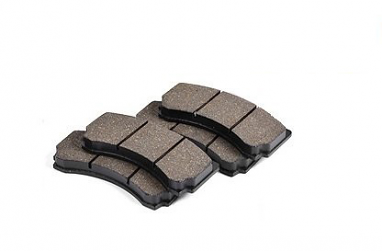 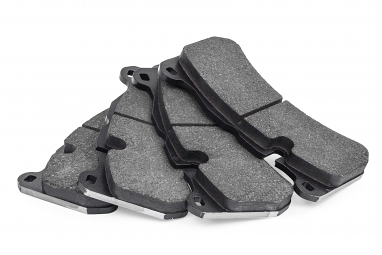 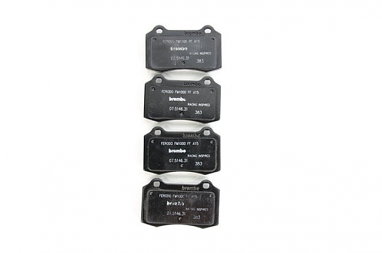 Aftermarket disc brake kits deliver a firmer brake pedal with more response and improved modulation. 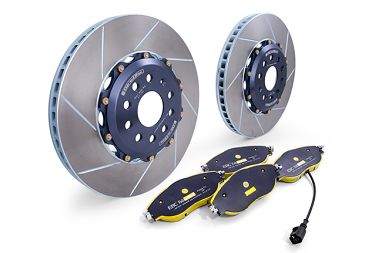 Big rotors and big brake calipers will cut your 60-0 mph times, appreciably shorten stopping distances, lower your lap times, discourage fade in repeated hard braking — the heavy applications typical of track driving — and improve control for enhanced safety. 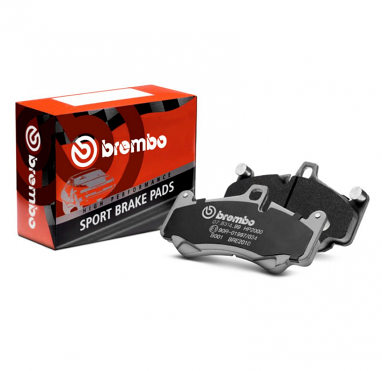 Big brake calipers that are actuated by four pistons or six pistons, for more even, more effective pressure against the rotors. 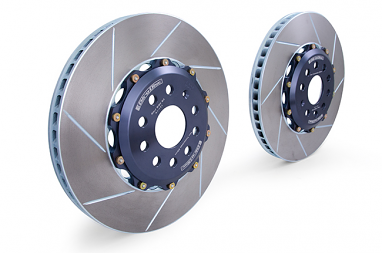 Bigger vented rotors, which dissipate more heat and multiply stopping power. 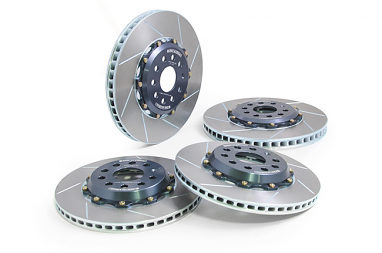 Options for cross-drilled or slotted rotors, which further dissipate heat. 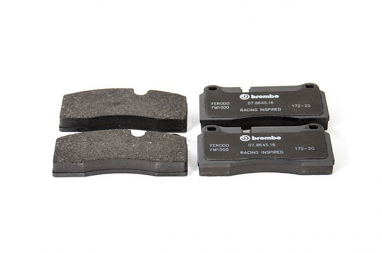 Pads made of a harder composite to better withstand high temperatures and resist fade. 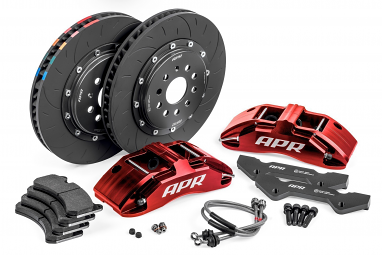 Aftermarket disc brake kits are engineered to work with stock master cylinders and anti-lock systems, so other than installing the big brakes and high-performance brake lines, there’s no additional work. 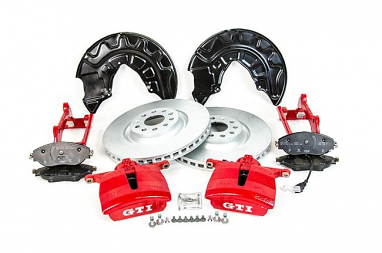 Our inventory includes kits or parts for the VW GTI, Golf, Golf R, R32, Jetta, GLI, Eos, Beetle and Scirocco; Audi A3, S3, RS3 and TTS; Porsche; and Fiat 500 and Abarth. 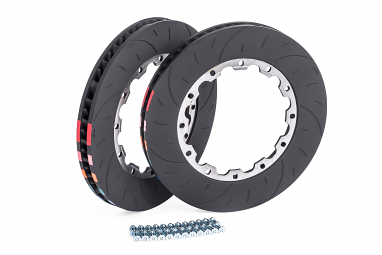 Upgrades are available for front and rear wheels for many models. 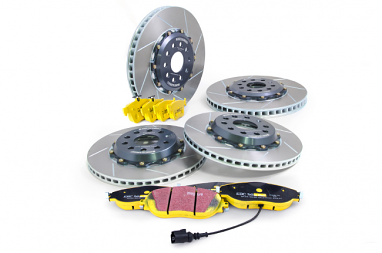 Show off your braking mod with calipers in silver, red, yellow, blue or black, depending on the manufacturer. 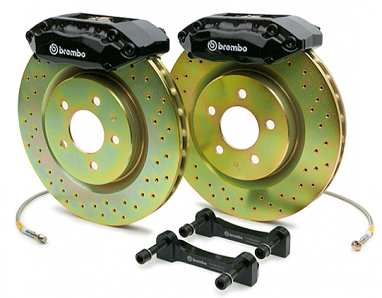 We sell aftermarket VW, Porsche and Audi brake parts. 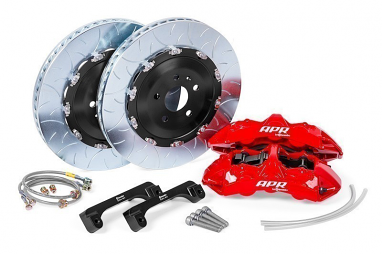 Aftermarket brakes, pads, big rotors and big calipers are available outside a complete kit.